I discovered the many benefits of activated charcoal a few years back and I haven't been without this simple affordable remedy that can help with many problems. I have used it for everything from brightening my teeth, heartburn, general detox after an exposure, as a compress to sooth bug bites and pimples, soil conditioner and to even help a few chickens from being poisoned after getting into some fermented compost. Activated charcoal is a amazing substance. It adsorbs more poisons than any other known substance. Notice I didn't say absorb...I said adsorb (this was not a typo). Adsorbing is different from absorbing, when something uses the process of adsorbing it attaches to it by chemical attraction like a magnet. The large porous surface area of activated charcoal makes it ideal for bonding with foreign objects. When certain chemicals, germs & viruses pass next to the carbon surface, they attach to the surface and are trapped in its porous cage. Activated charcoal is a charcoal generally made from nut, wood such as bamboo or vegetable fiber such as coconut, which has been treated with oxygen to open up millions of small pores between the carbon atoms. It is is odorless, tasteless, and nontoxic. Activated Charcoal is rated in Category I (Safe and Effective) by the FDA for acute toxic poisoning. It is recognized as a universal antidote and is listed in the U.S. Pharmacopoeia. Most Poison Control Centers recommend Activated Charcoal for use in poisoning. Activated charcoal adsorbs most organic and inorganic chemicals that do not belong in the body, however it according to studies it does not absorb beneficial nutrients. "Charcoal added to the diet of sheep for 6 months did not cause a loss of nutrients, as compared with sheep not receiving charcoal. Blood tests showed no significant difference between the two groups of animals, and there no visible signs of any nutritional deficiency. At autopsy, no differences either grossly or microscopically could be detected. A level of 5 % of the total diet was given as charcoal. It did not affect the blood or urinary levels of calcium, copper, iron, magnesium, inorganic phosphorus, potassium, sodium, zinc, creatinine, uric acid, urea nitrogen, alkaline phosphatase, total protein or urine pH." ~ Activated Charcoal by David O. Cooney, New York: Marcel Dekker, Inc. 1980 p. 63. It will adsorb any and all medications however, and, other than in the case of an overdose, Activated Charcoal needs to be taken 2 hours before or after any medications. The uses are endless, however the most common use, still used in hospitals today is to neutralize poisoning. Taken internally, activated charcoal works as a detoxification agent, treating not only poisonings, but drug overdoses, heartburn, acid reflux, gas, colic in babies, bowel diseases, diarrhea, indigestion, and many other health issues. It can be used as a tooth powder to brighten teeth and relieve mouth sores. Externally, it can be used to treat insect bites, rashes, and infected open wounds, is an effective eye wash and skin purifier, and used in soaps to aid in healing the skin. It is antibacterial, anti-fungal, drying, thermal regulating and deodorizing. Activated charcoal is also used in water filters, air filters, masks, garbage bags, clothing, soaps, salves, poultices and is even used in farms and gardens to detoxify polluted & contaminated soils and increase crop yields. There are different grades of activated charcoal, for farms & soil, masks & air purifiers, aquariums, odor control, topical and digestible. From capsules, caplets, bricks, blocks, pellets, granulated and powdered. 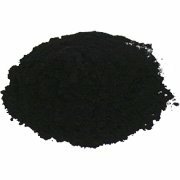 Be sure to look for a quality food grade activated charcoal if you wish to take it internally or apply it to your skin. I find that capsules are the easiest way to take it orally and if I want a tiny bit for a poultice or tooth powder I just empty a capsule into a small egg cup or condiment cup. Add powdered AC to sugar scrub for a detoxifying skin soothing bath. I use it for making mascara. To make a poultice simply mix a sufficient amount of AC with filtered water to make a paste, spread this on some gauze and place over the wound then seal with a bandage...Leave it on overnight if possible and it will draw the infection to the surface. Add some AC to your facial cleanser to remove impurities from your skin. Thanks for the info....pinned your post!